If like me, all your makeup products seem to run out at once, you’ll know that sinking feeling you get when you have to shell out the big bucks for replacements! Makeup’s not cheap, but whoa … did you know there are false eyelashes out there that retail at $1,350? I mean, seriously?! When I read about those lashes, it prompted me to investigate further into super-luxe makeup products … and OMG, check out what I found – these prices will make your eyes water! Moisturiser – let’s start with a moisturiser – a million-dollar face needs a good base right? This pretty-looking moisturiser is very limited edition (only three jars were ever made!) 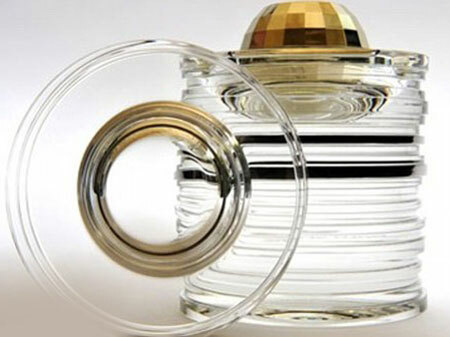 Named La Crème by Clè de Peau Beautè (parent company, Shiseido) it retails for $13,213 for a 50 gram jar (that’s five times more expensive per gram than gold!) The handcrafted jars boast three platinum rings and 30 layers of crystal and were designed by French glassmaker, Crystal Saint-Louis. Don’t worry if you can’t afford the limited edition version though, they make a less-luxe version for only $973 – available at Nordstrom – get in quick! 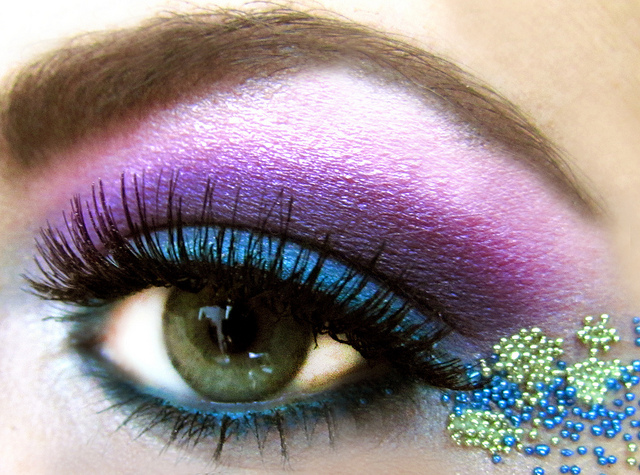 False eyelashes – so … next up on your million dollar baby(face) are the eyelashes. Here we have the aforementioned $1,350 false eyelashes; containing 0.2 carat diamonds, hand set on 18K gold. And if diamonds are not your thing (pffftttt! ), there’s always the plainer 24K gold version. These were made exclusively for Barneys in New York by krē•āt beauty. Mascara – if you don’t fancy wearing the falsies and let’s face it, they could be annoyingly heavy – what with all those diamonds (!) 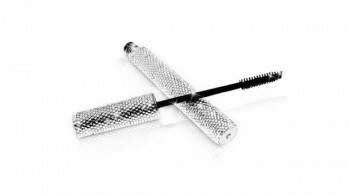 you could try this mascara from the now defunct Couture Beauty. Those wealthy enough to afford the staggering $14 MILLION DOLLAR (OMG!) 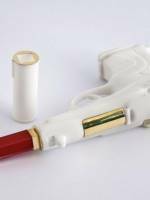 price tag could choose between an 18K gold mascara tube with 2,500 blue diamonds or the 18K gold lipstick tube with 1,200 pink diamonds. Hmmmm, pink or blue? Or both? Anyway … these gorgeous offerings came complete with a lifetime of concierge services, lifetime refills, 24/7 phone support (?!) and free gift-wrapping! Those who did splash out may now be regretting it though as the company has gone under and those free refills are now pretty hard to get! Lipstick – the lippy … obviously to top off a face like this, your lipstick would need to be preeettttty special wouldn’t it?! 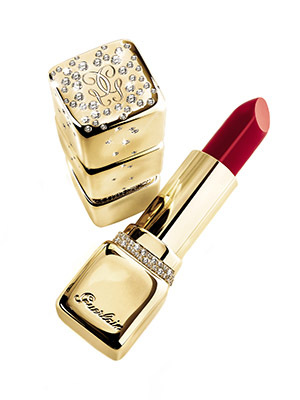 Well thankfully Guerlain (parent company, Louis Vuitton) has risen to the occasion with their shade-customisable KissKiss Diamond and Gold lipstick … a snip at a mere $62,000! The packaging is stunning – 110 grams of 18K yellow gold with 119 diamonds embedded in that gold. Oh … and you get a free lip brush with this one! 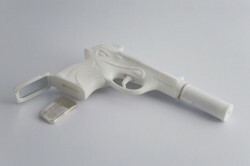 Cosmetics gun – one last little piece of expensive cosmetic whimsy is the “cosmetics gun” … designed by Dutch jewellery designer, Ted Norton. You can purchase the white “Dior” version, or the black “Chanel” version. The Dior version, priced at around $11,500 contains a Dior lipgloss, a vial of perfume, an antique hairpin, an 18k gold toothpick (! 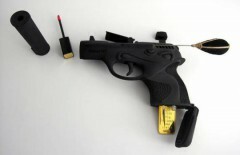 ), a 50 gram 24K gold bar, a USB stick and a Viagra pill! The more expensive Chanel version retails at around $17,000 and contains similar, Chanel-branded versions of the above products. So … which of these fabulous options will be on your wish list for this coming pay day???!!! * All prices are in $US, making them even more outrageously expensive when you convert them to little old $NZ! Posted on January 16, 2015 October 5, 2018 by MumptyStylePosted in Makeup/Skincare, Mumpty StoriesTagged billion dollar baby, Chanel, Crystal Saint-Louis, Dior, eyelashes, False eyelashes, Guerlain, lashes, louis vuitton, mascara, Ted Norton.